My AMC piece is going to be/has been linked to on FARK today, and I suspect at least some of them will find their way back here, so for those of them who choose not to leave comments on the AMC site (which would be preferable), here’s a place for them here. New folks and FARKers, please do check the comment policy. It’s Like 1982 Never Ended! Hmmm… But what if we’re old Whatever hands and Farkers? I think that causes some disruption in the space/time continuum. Then you should have no problem! As it happens, I have a Total FARK account; I just posted a comment on the thread. I figured, why not. 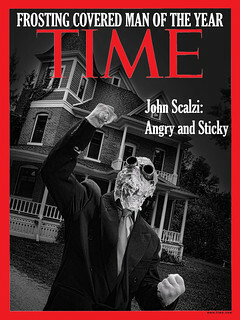 so, i ask once agian, who’s john scalzi? besides writer of this blog. I answered it over on the FARK thread, actually, but here’s my bio. I was browsing fark to avoid doing any actual work (next stop on my list would have been here) and then here shows up there. I finally saw Logan’s Run a few months ago after hearing about it for years. I thought the movie pretty much sucked but that the chick was smoking hot. So, what are the five good sci-fi movies? Did I miss you mentioning them somewhere else? I’m saving that for a later column. That I can get paid for! King @ 10; I finally saw Logan’s Run a few months ago after hearing about it for years. I thought the movie pretty much sucked but that the chick was smoking hot. I had the same experience early last year. All my older friends kept saying how great a movie it was, so first time I saw it on a premium channel I set the dvr to record. It was very hard to get through in fact I got about an hour into it and deleted the sucker. John, would you consider Eternal Sunshine of the Spotless Mind a Sci Fi film? A minority of timelines also include The Forbidden Planet, generally as a substitute for The Terminator, but not always. One highly divergent line has a list of nothing but zombie flicks. I would state with high confidence that our host’s top 5 can also be found in his Science Fiction Film Canon. One of the ones you listed is not. I still think it is because in most cases, the people in charge don’t try. They think “Oh, this is just for 14-year-old pimply nerds who can’t get a date, and they’ll watch anything, so why to go any trouble.” That is the only I can imagine that half of the “science fiction” movies made ever got to the screen. They are soooo bad! Absolute bull cookies! So, if there are x alleged science fiction movies made in a 10-year period, and they are all crap, the least crappy few become classics. Not because they are good, but because they are all we have. My top five are The Day the Earth Stood Still, Edward Scissorhands, The Sixth Sense, The Princess Bride, The Butterfly Effect, Donnie Darko (director’s cut). OK, that’s 6. Live with it. Oh, darn. Someone said The Forbidden Planet and here I was behaving myself. I have probably watched that movie bazillion times since I was 8 and loved it every time. The sets are day-glo to compensate for the cheapness, but, ya know, it still works for me. That one scene where they’re in a lower level and it’s supposed to be huge—and it’s actors standing in front of a huge perspective painting. I still buy it! I don’t sit there and try and figure out which part is real and which part is CGI. Relevant to the article: http://www.basicinstructions.net/2008/06/how-to-make-someone-grateful-for-sci-fi.html. Every movie is “bad” if you want to be THAT picky about it. There are plenty of films that win awards and yet people still don’t like them or enjoy them. Scifi films know coming out of the gate that they will never be respected or win any awards, except for technical ones, so it allows them to take chances and be audacious. I think Logan’s Run is a great movie. It does what it sets out to do and it sticks to its own set of rules. There are few plot holes and it exists in its own specific universe. Are there cheesy special effects? Yes, of course, their reach far overshot their grasp. But if bad special effects made a movie bad one would be hard pressed to point to a decent film. Even dramas and comedies have bad green-screen and compositing – which would make them bad by that specific definition. Planet of the Apes had a great plot, and fantastic makeup effects. Soylent Green was very high-minded and has a definite chiller of an ending. Silent Running had a point, although not much plot, but still manages to be relevant (moreso today), if a bit alarmist. I’ll admit there are really bad but classic scifi films, but I think your examples don’t exactly apply. Flash Gordon? Hell, yeah, that movie is just over-the-top bad, but I love it. The Omega Man – fun but not great. However, more to the point, The idea is the strength of these films. Clonus, the Parts Horror, for instance, really is a bad, bad film, but the idea is great. 1. I think sci-fi excels in the tv series format, where through long time exposure to the premise and recurring characters, the story has the time to establish itself and it allows viewers to acclimate to the fantastic nature of the setup. It’s hard to expect the viewer to suspend disbelief in about a handful of minutes for the rest of he movie to take off, while in a tv series, there’s ample time for the viewer to slowly submit disbelief as the characters grow on them (as in the original Star Trek). 2. Sci-fi, especially old sci-fi, usually suffers from the modernist look it often employs, which is designed to appeal to the audience as cool and futuristic at times, but in hindsight looks as silly as your high school haircut. The classic sci-fi movies, such as Bladerunner, and Brazil, overcome this by adopting a version of the classic look. I have no idea how 2001 managed to make the 70s pop art look become a non-handicap. 3. Bad writing. Yep. Sci-fi has had plenty of them. This may also apply to the literary sci-fi classics. I don’t know how many times I’ve picked up a classic of the genre and couldn’t get through what comes across to me as dismal writing (Foundation) or blah narrative skills (Ringworld). This is also an area where the tv series often (with exceptions) do much better. I always feel like science fiction, from a literary standpoint, is a speculative, philosophical, somewhat intellectual venture, qualities that get lost when you try to reduce even a 200-page book down to 120 minutes of characters doing things. There’s very little pure cinematic science fiction, 2001 being a notable exception. Futuristic elements alone shouldn’t define a film’s genre classification. Many of the strongest “science fiction” films arguably belong more to other genres in terms of their basic construction. Alien is a horror film in the old dark house vein, while Aliens is action (as is the Terminator series). It’s not ’til you get to Aliens 3 that you get more of a straight-up sci-fi entry. What about Contact? 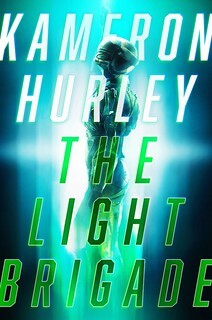 Best non-violent sci fi that I can think of. My much hated list is here.